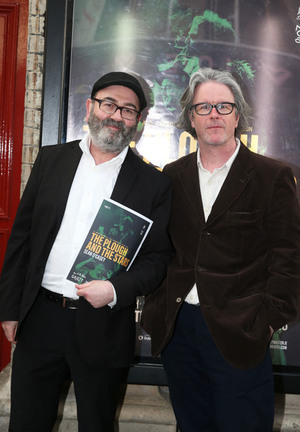 ‘It is with regret that we, the undersigned theatre practitioners, write to apprise you of our deep concern and dissatisfaction with the direction that the Abbey Theatre has taken since the appointment of its directors, Neil Murray and Graham McLaren. Posted in Misc and tagged Abbey Theatre at 10:27 am on January 8, 2019 by Bodger. Running to teacher never works – direct dialogue with the Abbey might. Where is their union Equity in all of this -collective bargaining and all that? Yeah, it worked for waking the feminists. Also why assume there haven’t been unsuccessful discussions? Has it worked for waking the feminists? Where is the evidence? I’m sincerely interested in plays by female writers which have emerged and been produced since WTF if you can let me know. 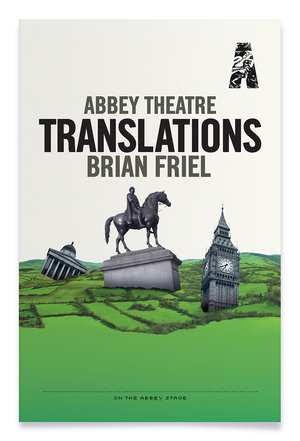 ….plays by female writers which have emerged and been produced at the Abbey. I thought we are talking about the Abbey? (that’s where WTF started seemingly). It wasn’t exclusively abbey the abbey but a particular programme at the Abbey sparked the action most likely because at the time the Gate was considered a lost cause. Here are some examples from the Abbey but next time do your own Googling. So, the Minister should decide what actors get hired and what plays are picked to run at the Abbey? A tenner says the Book of Kells is self-funding. The book of Kells is a historical object. They don’t have to pay someone to draw the artwork everyday. No, but she shapes arts funding policies and their objectives. So they do that by importing a West End musical about 9/11, staging an adaptation of Ulyssess and a 1960s novel, The Country Girls? Right so. May I ask why? Was it a song and dance type production or…. …all of those and much more…the audience were behind and in front and the stage was removed with more seating (including me) with the actors and mannequins. Dermot Bolger had adapted it for stage and it got a standing ovation on the night I was there. I wasn’t there, so I don’t know if a standing ovation was warranted or not – happy to give benefit of doubt. However, as a measure of appreciation, the standing ovation is becoming somewhat devalued through over-use. If a production is so good that an audience is moved, almost in unison, to jump to their feet while applauding, then that suggests a genuine reaction. What is more likely is that someone who has enjoyed the show and/or has relatives/friends on the stage will stand up to applaud while glaring at those around as if challenging them to do the same. This usually results in a Trickle-Up Standing Ovation, (or TUSO*) which doesn’t have the same cachet at all – it’s like being damned with faint praise. * I like to invent acronyms and see if they catch on – this one has a short shelf-life I fear. In 2019, what is a government (any government) doing with such huge interests in a theatre business? In 2017, the Abbey had €12 million of income, of which €7.3 million came from the taxpayer as grants. The theatre had box office income of just €2,508,317. The culture minister appoints at least three of the directors of the Abbey including the chairperson. Also, why is the director of vulture fund Pimco, Frances Ruane on the board of the Abbey as the chairperson? Maybe Pimco could use a tiny fraction of the profits its earns off the backs of others to bail out the Abbey? Ha, your last question is a good joke. It is called funding the arts. Pretty much every government does it. Australia invests quite a lot in the Sydney Opera House, you know. As for the quality of the output at the Abbey, I’ve seen better plays in upstairs rooms in pubs on a Monday night. I knew you’d focus on the one example. There are countless examples globally so I want bother to bring up how much Australia has invested in the building. Catch yourself on. We invest less in the arts than most countries in Europe. Name the pub and play, please. Corporate welfare cheats cheat us all!!! If want to just have shops and a cinema showing superhero films we could cut all arts funding. There’s arts and there’s pure POOPY. Theatres are crying that they need more funding but they are to blame for most of the empty seats. If nobody wants to see they plays it’s time to put on stuff that people want. Bumblebee the musical if needed . Sounds like you want the shops and superhero films. Bring back Fiach Mac Conghail.